Planning on buying a home in France? PrimeLocation has teamed up with overseas property trade association, AIPP, to create this handy step-by-step guide. If you’ve decided to take the exciting step of owning abroad, France is a great choice for either a holiday home or a permanent country move – demonstrated by the 200,000 Brits who already own there. 1. What are you primarily buying this property for? Is it a holiday home, a financial investment, or somewhere to eventually retire to? 2. What do you see yourself doing while there? This might be spending relaxing time with your partner, hosting family and friends, indulging in sport and leisure or working. 3. Which of these are most important to you? Is it budget, location, type of property or facilities? Once you have these answers you’ll be clearer about what you are looking for and can move onto specifics. Where in France should I buy? Historically, hotspots in France have been Provence, French Riviera and Dordogne. But if budget is an issue, steer clear of the south and concentrate inland where prices fall off sharply. Instead of Dordogne, for example, look at The Tarn, in the heart of southwest France. It offers a better climate and is full of pretty villages – or neighbouring Aquitaine which is equally charming. And while Provence is more chic than ever now Brad and Angelina Pitt own a vineyard there, prices are unsurprisingly high. If you still want to be in the heart of it all however, consider Loire or Armagnac instead. If its skiing and golf you’re after, the Alps offer all-round leisure options and great investment potential. Consider Franche-Comte on the Swiss border or the area around Lyon which has a strong British community. Naturally the larger French cities and towns offer more in the way of culture and shopping but accommodation is more limited and expensive. The Ile-de-France region – in north-central France and encompassing Paris – remains the most popular area for Britons. If you want to get away from fellow Britons however, look at north east of France which remains unpopular – mainly due to its very British weather! What type of French property is available? 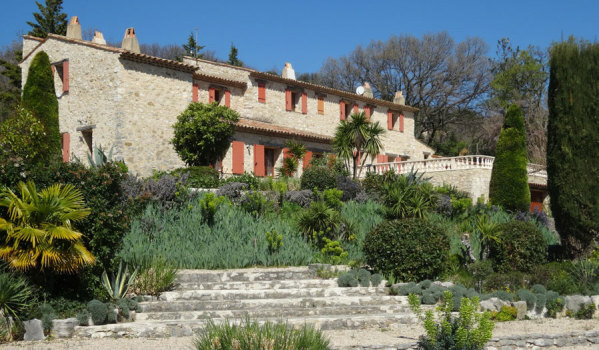 Part of the joy of buying in France is the opportunity to purchase totally different property styles than you’d find in the UK – and often much bigger than you could afford at home. Much of France is still rural with traditional accommodation such as cottages, farmhouses and barns. Often constructed from local material, these may be in need of renovation and cheaper than if already restored. You could pick up a rural stone building from as little as €25,000 but this price can rise to over €1m in popular locations. Taking the region of Poitou-Charentes on the Atlantic coast as an example, you can expect to pay between €50,000 and €70,000 for a two-bedroom cottage that’s in reasonable condition. The distinctive style of a chateau, village or townhouse may also appeal if you prefer something ‘typically French’ but more luxurious. These range from crumbling to magnificent and can provide versatile accommodation due to the number of bedrooms. An eight-bedroom townhouse in Midi-Pyrenees of good condition will set you back approximately €400,000. For more modern conveniences look for a villa or apartment which are often found on the coast, tourist developments or residential areas. Villas generally come with swimming pools and terraces and a four-bedroom property in a popular area will range from €300,000 to €2m depending on the view, size and facilities. A two-bedroom apartment in Paris could set you back around €1m but in a tourist complex can be as little as €150,000. Leisure resorts offer alternative style living too. Luxury chalets, both new build and traditional, often have flexible accommodation over several floors but usually come with a high price ticket. 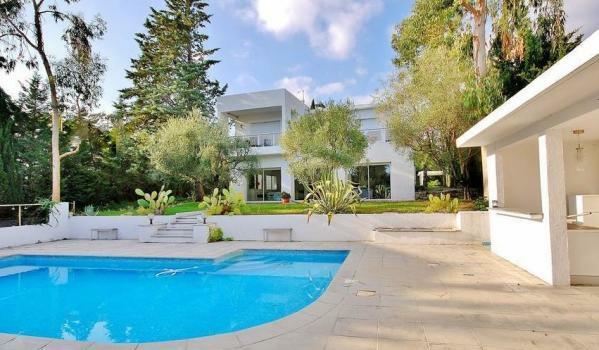 Prices vary widely depending on the resort and you could pay anything from €500,000 to €10m plus! 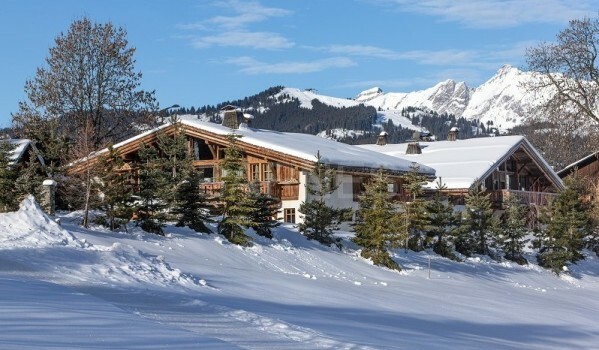 Wooden lodges set within a golf country club are more reasonably priced at around €200,000 and a one-bed ski studio can be found for as little as €90,000. How can I finance a home in France? If you have cash to buy your French home, move right on to our section on currency exchange. If not, you will need to consider your borrowing options. You won’t be able to take a mortgage from a UK bank to pay for a home that lies on different soil. But an overseas mortgage broker will help you search for the best deals from French banks. If you are confident and speak the language, you may prefer to contact a French bank direct. Long-term fixed rate mortgage deals are commonly offered in France and rates are attractive compared to the UK. Be aware that, while mortgages are becoming more widely available, a healthy deposit (between 15% and 20%) will still be required along with affordability checks and a sound credit history. It is possible to take a French mortgage in sterling, rather than euros. When deciding, bear in mind it is good practice to borrow in the same currency you will repay the loan in. This avoids currency fluctuations moving against you. For example, if you are paying your mortgage with a UK salary borrow in sterling. If you are funding your purchase through renting your French home out, you may be better off borrowing in euros. When moving large amounts of cash a small difference in rate can equal a huge loss or saving – a 1% change when exchanging £500,000 can mean £5,000 either way! Importantly, when buying in France estate agents or agences immobilières charge commission to the buyer and not the seller. The commission is also much higher at between 5% and 10%. Often, estate agents commission is included in the house price but not always. Do check as you could end up paying a lot more than you bargained for! Who do I need to help me with my purchase? Start with your agent. You may have already found one at a property exhibition or online but it’s essential to do your research. Are they members of a trade association, such as the AIPP, with recourse to a property ombudsman and financial compensation? All French estate agents (agences immobilières) are regulated by French law and required to hold indemnity insurance. Next is your notary or notaire, an independent official acting on behalf of the State. He or she is mandated to ensure legal affairs are conducted properly and the correct taxes are paid. But notaires should not be confused with lawyers – they do not act for either the seller or the buyer – and are usually local to the area you are purchasing in. You are free to choose your notaire but you may find a recommendation by your agent or vendor will suffice. In the UK, due to our conveyancing process, using a solicitor is the norm. But this is not the case in France, so the one appointment that’s highly recommended is a good independent lawyer who will work only for you and protect your interests. They will also ensure that all due diligence is completed, notify you of anything suspicious and potentially save you a lot of money. For a list of reputable lawyers, contact the British consulate or check the AIPP website. Finally, the move itself may require a removal firm if you are taking your possessions with you. As with the UK, it is wise to choose an insured company that is a member of a trade association. Specialist overseas removal experts will advise on storage, sea transit and regulations you’ll need to be aware of when transferring your goods to France. What can I expect from the legal process? Step One: Once you have had an offer accepted you may be asked to sign an offre d’achat by your agent. This is an agreement in kind and shows your commitment. The vendor’s agent then takes the property off the market. Step Two: The first official sales document you will be asked to sign is the compromis de vente which is a sale and purchase agreement. It contains all relevant details of the property and parties involved, provisional fees associated with purchase and any conditional terms such as mortgage approval. Do not sign until your lawyer has reviewed it! A plan cadastral should also be provided at this point. This is an official document showing the boundaries of the property you are buying. A deposit, normally 10%, is then paid by you to the notaire or estate agent and held in ‘escrow’. Sometimes this happens at the end of Step Three depending on your agent’s policy. Step Three: In French law, you will have a ‘cooling off’ period known as délai de rétractation which stays in place for 10 days after you sign the contract. This is your last opportunity to withdraw from the purchase without losing any money. Step Four: After 10 dayshave passed the surveys (dossier de diagnostic technique)cancommence. Step Five: Purchase funds will now need to be put in place. If you are paying via a mortgage the lender will arrange for the funds to be sent to the notaire. If paying by cash then your currency exchange company or bank will organise the transfer. Step Six: Finally you will be invited to the notaire office to sign the deed of sale or acte authentique. If you are unable to travel to France you must appoint power of attorney to your chosen representative to sign on your behalf. The certificate of purchase or attestation will then be handed over along with a receipt for the money paid. What potential pitfalls should I be wary of? Currency prices fluctuate all the time. While this might be manageable when buying your holiday money, when the final price of your home varies significantly from the time you made your offer, it can prove a big problem. We recommend fixing your rate via a specialist foreign exchange company. Much like the UK, it is down to you to project-manage your property purchase. The key players will have lots of other clients they are dealing with and it’s in your best interests to contact them every few days for updates. This ensures you are always moving forward – not stalling. Although the date will be listed on the compromis de vente, this is a guide only and, in fact, very rarely adhered to. Don’t plan your move until further down the line. They probably can – but it may well cost you extra. Thoroughly investigate the complexities with your lawyer before making decisions such as whose name the new property should be in and what your correct tax actions should be. Healthcare: Depending upon your residential status, you may wish to purchase additional private health insurance. France’s system may not adequately cover what you need. Planning for the unexpected: What happens if you or your partner is taken seriously ill or even dies? Are you able to get back to the UK if you are needed urgently? It’s imperative to see beyond the initial property purchase and put plans like these in place. Home Insurance: Consider how you will use your home in France (for example, sole occupancy or rental) and get adequate home cover. Properties left unoccupied for long periods need special insurance. Cost of living: Do your research around how prices differ from the UK. Expatriate websites and forums are a good place to start for examples of monthly living expenses and likely maintenance and tax charges. Follow these steps and you should soon be enjoying your new life in France. Selling up your French property? Things to consider! Choose your agent depending on your market – local or international? Who is AIPP? 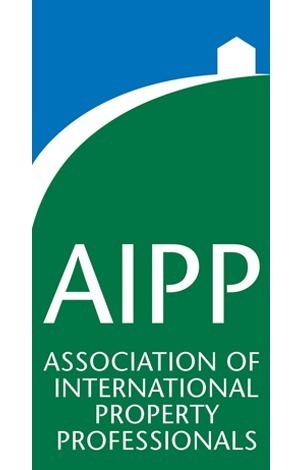 AIPP (Association of International Property Professionals) is the trade association offering voluntary regulation of the international property industry in the UK. AIPP members adhere to a strict code of conduct in how they treat their customers. Buying an overseas home via an AIPP member offers access to free legal advice and the potential for compensation through The Property Ombudsman scheme. Visit the AIPP website to download free buyer guides and search for members.